Abu Dhabi: Gulf Cup winners Oman have an uphill task against three-time champions Iran in their AFC Asian Cup Round of 16 fixture at the Mohammad Bin Zayed Stadium on Sunday but coach Pim Verbeek is confident his wards can rise up to the challenge. 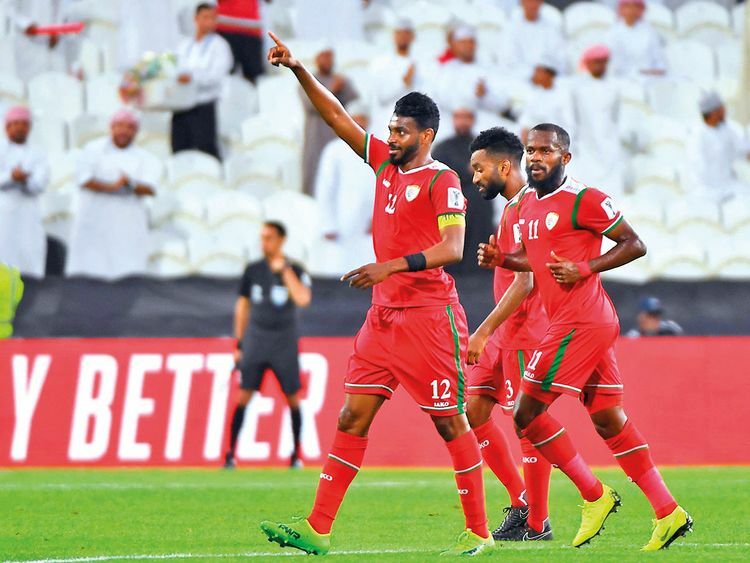 Oman advanced to the knockout stages as one of the four best third-placed teams, qualifying for the knockout stage for the first time in four appearances. “We need to go out there and play good football. Iran defenders are strong and well-organised and it won’t be that easy,” said Verbeek. “The moment we get a chance to score, we must convert it against teams like Iran. I’m sure my players will be focused,” added a confident coach, who is well aware that his team lacks in experience in comparison to their rivals. “My players don’t have much experience of playing in the big leagues and international football as a lot of other teams in the Asian Cup. We still have to learn why we are losing concentration like what happened against Uzbekistan,” said Verbeek. “I can’t sit back and say we have achieved our objective of making it to the Round of 16 and let this game go. This can be an opportunity to make some history and that’s what we intend to do. We are very happy to make it to the last 16 and now we will do everything we can, to go further, to the next round of the Asian Cup,” asserted Verbeek, who hoped that his No.10 Mohsin Johar, having recovered from injury, will be able to give 100 per cent. “Johar trained very hard yesterday and I’m waiting for the medical staff to give their reaction on that training. Hopefully, he can train with us again tonight. That’s another option we have. He played in the Gulf Cup in five games in-a-row. He’s a key player for us but the question is if he can play 90 minutes,” said the Dutchman. Meanwhile, China have received a major boost ahead of their Round of 16 campaign against Thailand in Al Ain with coach Marcello Lippi announcing that striker Wu Lei is ready for action. Lei has recovering from a shoulder injury which kept him out during their last group fixture against Korea Republic. The Shanghai SIPG forward has been training separately from his teammates since sustaining the injury against Kyrgyz Republic. “He’s ready to go, he can play in tomorrow’s match. We have a few players who are not 100 per cent in the best condition, but we will check in training to see if they are going well. We’re ready and we’ll do our best to achieve the result we want so we can go to the quarter-finals,” said the Italian. Thailand coach Sirisak Yodyadthai is hoping that his team continues in the same vein and keep expressing themselves positively on the field. “Since my appointment, I’ve tried to inject some positivity into the squad as well as freedom and creativity — so the players can express themselves to their full potential,” said Sirisak, who replaced Milovan Rajevac following Thailand’s 4-1 defeat at the hands of India in their tournament opener.